These hot chocolate recipes are sure to satisfy your craving for something warm and chocolatey. What is better than to sit down beside a nice fire with a hot chocolate? This is especially true during the holidays and on a cold and windy (or snowy) day. 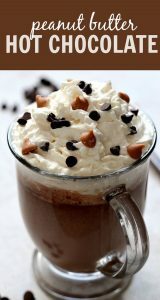 Take a look through these awesome recipes and settle down with a nice warm cup of hot chocolate. A great classic hot chocolate recipes that is sure to be delicious any time of the year. What is better than pumpkin flavored anything? White hot chocolate with pumpkin of course. Just three ingredients make this hot chocolate delicious and easy. Don’t hesitate to make this when the weather turns cold! A peppermint white hot chocolate is great. This one imitates what you can get at Starbucks, so it is sure to be yummy. An interesting take on the classic hot chocolate, this cookies and cream recipes adds tons of flavor and flair. This pumpkin flavored one uses white hot chocolate to make the flavors extra awesome. 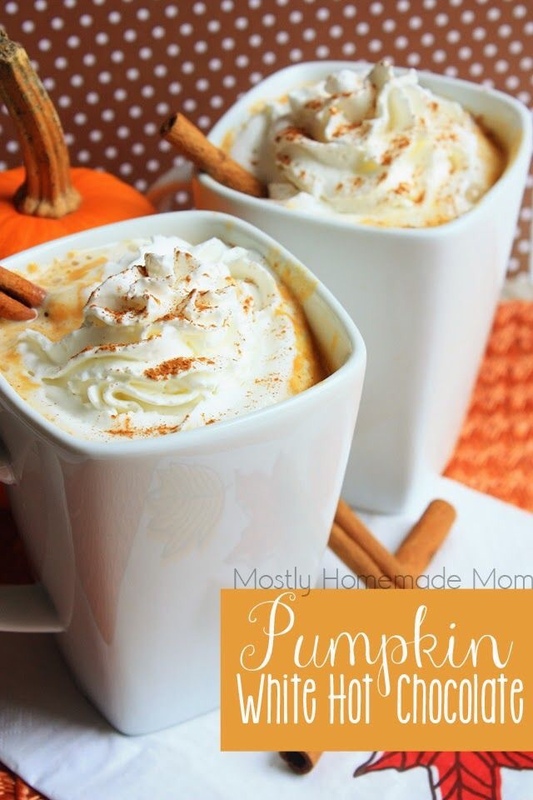 Try this one for a great fall styled drink. Add lots of marshmallows to make this classic hot chocolate extra delicious. You won’t need to worry about what the weather is doing outside as you drink this one. Raspberry steals the show with this white hot chocolate recipe. Extra yummy! Get in the Christmas spirit with this peppermint hot chocolate recipe. Use a slow cooker to make a great pumpkin white chocolate recipe. Not only is it easy to do it this way, but it is delicious. Red velvet is a staple around my house, and this hot chocolate fits in just perfect. Try it today! This recipe uses regular hot chocolate instead of white chocolate. In my opinion, that’s the best! Cinnamon is added to this white hot chocolate to give a but of spice and tons of flavor. Create this simple recipe in just 5 minutes! If you like nutella you are sure to enjoy this recipe. The hot chocolate and nutella flavors just seem to be made for each other. A snickerdoodle hot chocolate is just what everyone needs. If you enjoy eggnog then you will for sure like this recipe. 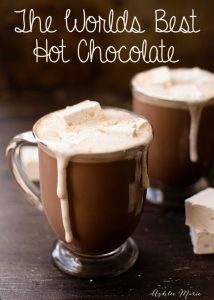 Try this recipe for some great hot chocolate. A different take on hot chocolate, you may never want it any other way. The crockpot is a great tool for cooking all kinds of things, including this awesome red velvet hot chocolate. 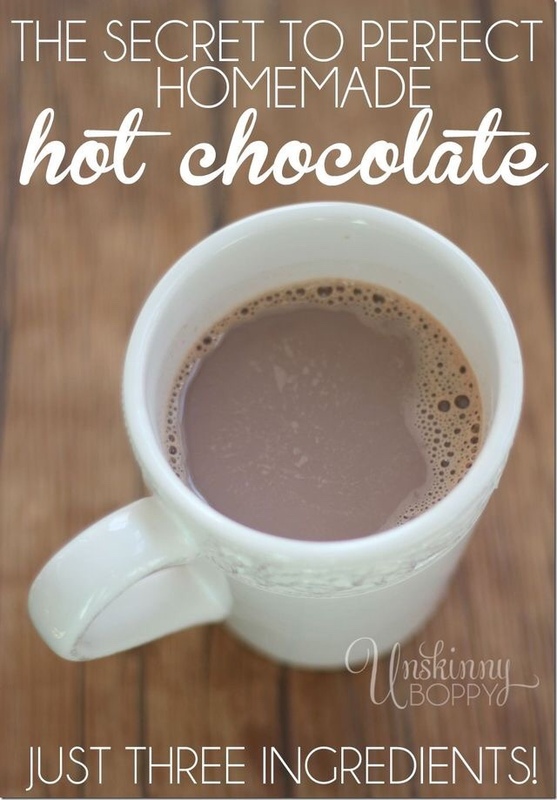 This is a simple and easy hot chocolate recipe that you are sure to enjoy. This recipe is great for kids and adults alike! Disneyland has the best hot chocolate around, and with this drink you can have a taste too. This hot chocolate is yummy and pink and delicious. What goes well with hot things and chocolate? Why, peanut butter of course. You will love this amazing recipe.